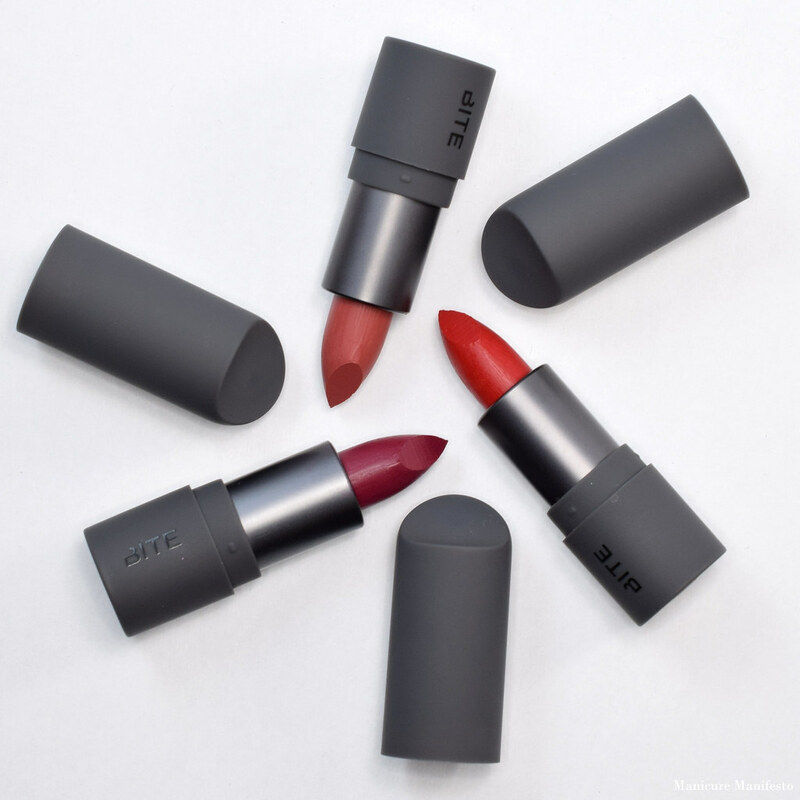 Today I have three more shade from Bite Beauty's Amuse Bouche lipstick collection to share with you. I got these three minis from the Spring Fling set available earlier this year. However, all three shades are available in full-size as part of the permanent line. 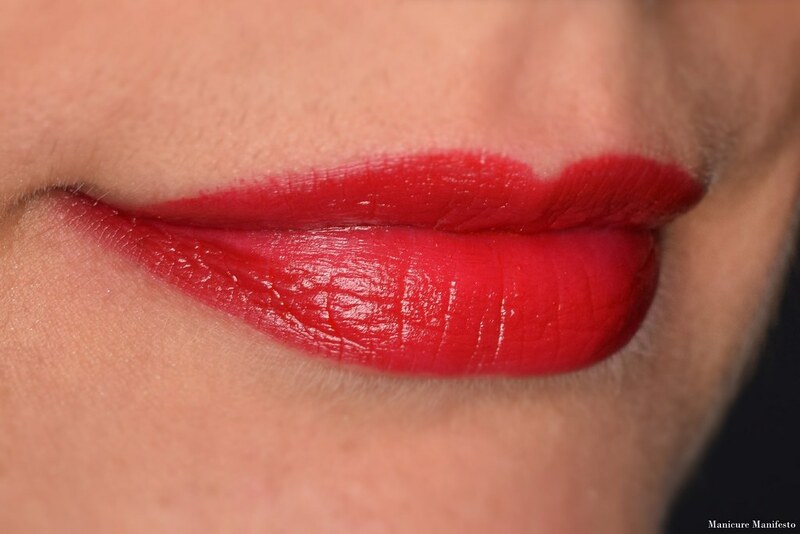 Gazpacho is a bright neutral red creme. By neutral I mean that it doesn't lean overly blue or overly orange, it's right in them middle. I wasn't expecting to like this shade on me, but surprisingly, I really do. It has a vintage pin-up vibe to it. The formula was quite pigmented and comfortable to wear. Beetroot was the shade I was most excited about. I do love my wine and berry shades. 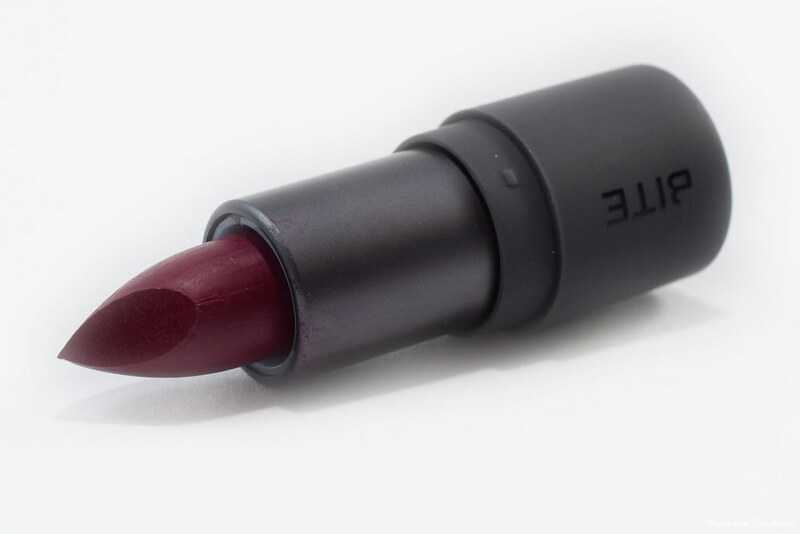 Though it leans quite purple when looking at the lipstick bullet, on the lips it appears more crimson with strong purple undertones. Another highly pigmented formula. I'd probably wear a clear lip liner with this one to avoid any potential smearing or feathering just to be safe. 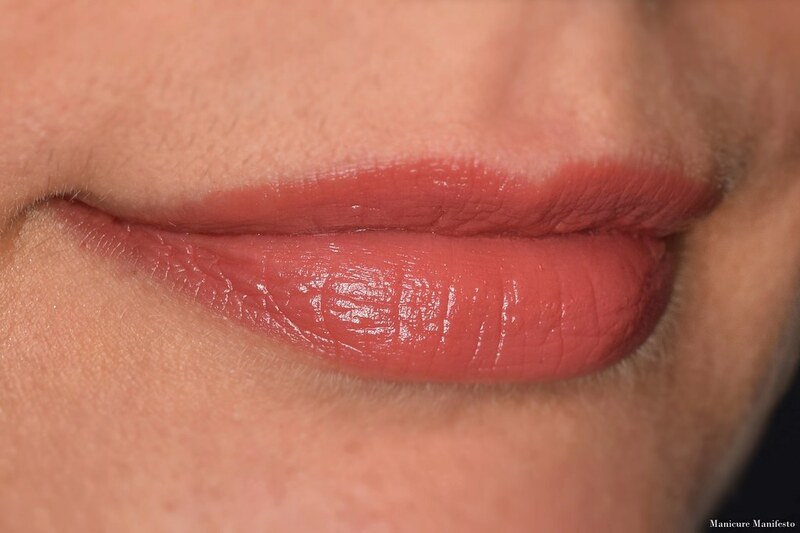 Verbana is a neutral rose creme. This shade is very close to my natural lip colour and is perfect for a day where I don't want to worry about touch ups or transfer. The formula was a little more sheer than Gazpacho and Beetroot, though it can be built up easily. I also found the formula a bit creamier than the other two, though with such a neutral colour I don't think that will pose any problems.